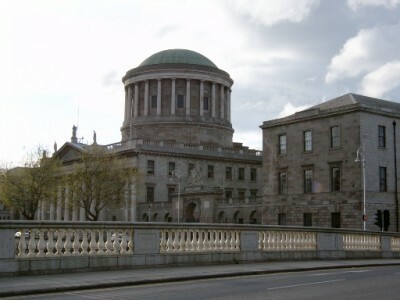 The Irish Supreme Court in Dublin on 23 November ruled that the State had a case to answer in a public interest petition first entered in 2009 on questions on abridgement of citizens’ rights in the holding of the second Lisbon Treaty referendum that year following the rejection of the Treaty by the Irish people in 2008. Since the State didn’t bother to send any representatives to the hearing this morning, the Judges, Chief Justice Ms Susan Denham, Mr Justice Hardiman and Mr Justice Charlton, ordered that the State immediately deliver all relevant documents in their possession to the petitioner and further ordered that the State prepare a case to answer the concerns of the petitioner in three weeks’ time from today’s date. This is a profound shock to an arrogant State bureaucracy which has consistently ignored concerns for citizens’ rights in the continuous power grabs by the Brussels dictatorship in various treaties culminating in the Lisbon Treaty which is now the basic legal document of the EU having consolidated all previous treaties into the Lisbon provisions. Panic has broken out in official circles as the international implications of a ruling against the State on the validity of the Lisbon 2 referendum in the full hearing in three weeks time are profound. If the Irish Treaty referendum is ruled void, the legal basis of the entire EU ceases to exist and the Euro ceases to exist as a legal currency according to legal opinion here. GR Editor: This was a decision of the Irish Supreme Court, it was not a judgement.